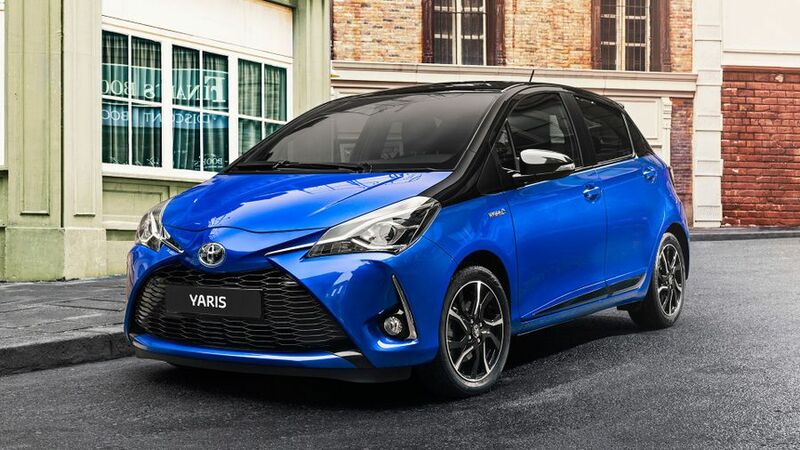 The revised Toyota Yaris range will cost from £12,495, the company has confirmed. Featuring a new look, as well as extra equipment and a new engine, the new model – a rival for the Ford Fiesta, Vauxhall Corsa and Renault Clio – was first seen at the Geneva Show earlier this month. On the outside, what Toyota calls a ‘more dynamic’ look is clear to see, while the company says it has also worked hard to raise the quality of the cabin. What’s more, every model will come with the Safety Sense package, which includes a Pre-Collision System, Lane Departure Alert and Automatic High Beam. Buyers will have the choice of six trim levels, and the most basic Active models come with automatic wipers, electric front windows, Bluetooth connectivity and a six-speaker stereo. In addition, hybrid models also have air-conditioning. Step up to Icon, and you add alloy wheels, cruise control, air-conditioning and a 4.2-inch touch-screen to control the infotainment system. There’s also a rear-view camera and the Toyota Safety Sense features are expanded to include Road Sign Assist, while the Icon Tech grade goes ones step further, with satellite navigation, access to online services, and front parking sensors. The Design and Bi-tone models concentrate primarily on the car’s looks – including bigger alloys, a honeycomb grille and black side mouldings on the Design, and a wider range of colours, along with a contrasting black roof and matching colour scheme inside, on Bi-tone cars – while the flagship Excel models are packed with luxury kit, such as LED lights, climate control and leather/Alcantara upholstery. In addition, there’s a choice of three powertrains, starting with the existing three-cylinder 1.0-litre petrol engine. Beyond that, the old 1.33-litre unit is replaced by a 1.5-litre engine, which is both more powerful and more economical, with CO2 emissions from 109g/km. Uniquely for a car in this class, the Yaris continues to be available with a hybrid option; and, while the transmission is basically unchanged in this revised Yaris range, Toyota has made a series of minor alterations in a bid to make it smoother and quieter. We know that the range will eventually be topped by a 205bhp hot hatch version, the Yaris GRMN, which was also unveiled at the Geneva Show. However, we don’t expect to see that in showrooms until next year, and there’s no word on how much it will cost. 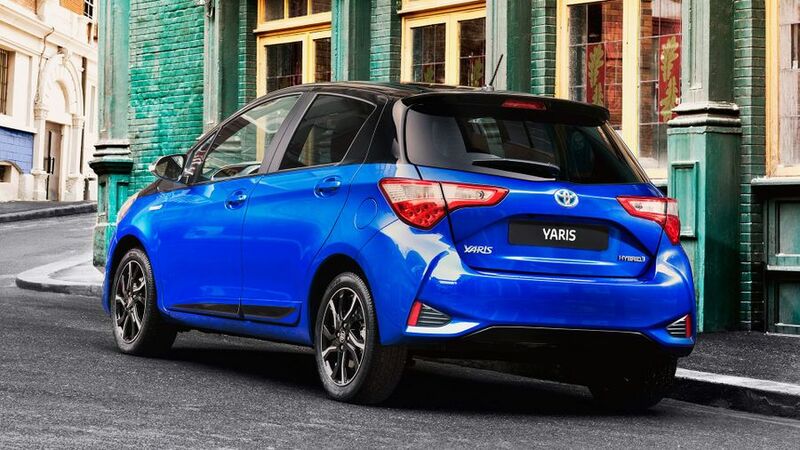 In contrast to three-door GRMN, the rest of the Yaris range comes only as a five-door hatchback, and the full line-up is available to buy now. 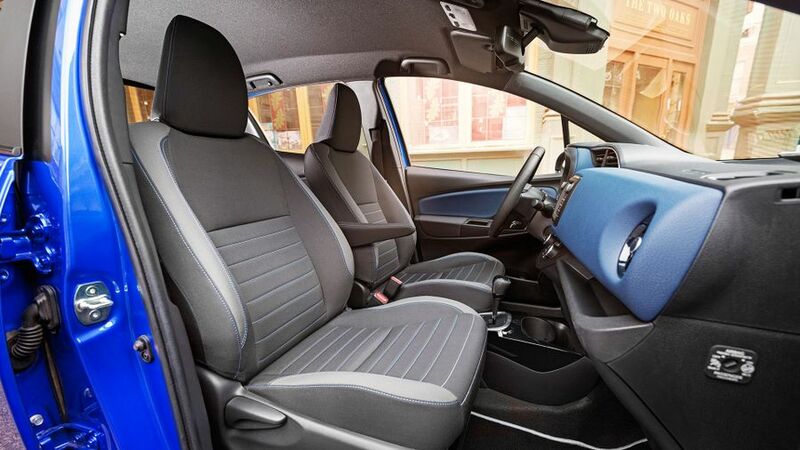 Prices start at £12,495 for a 1.0 Active, with the hybrid costing from £15,995 – in both cases, a special launch price – and prices for cars with new 1.5-litre engine run from £15,295. We’ll be driving the revised car next month, so come back here then for a full review of the 2017 Yaris. Interested in buying a Toyota Yaris?